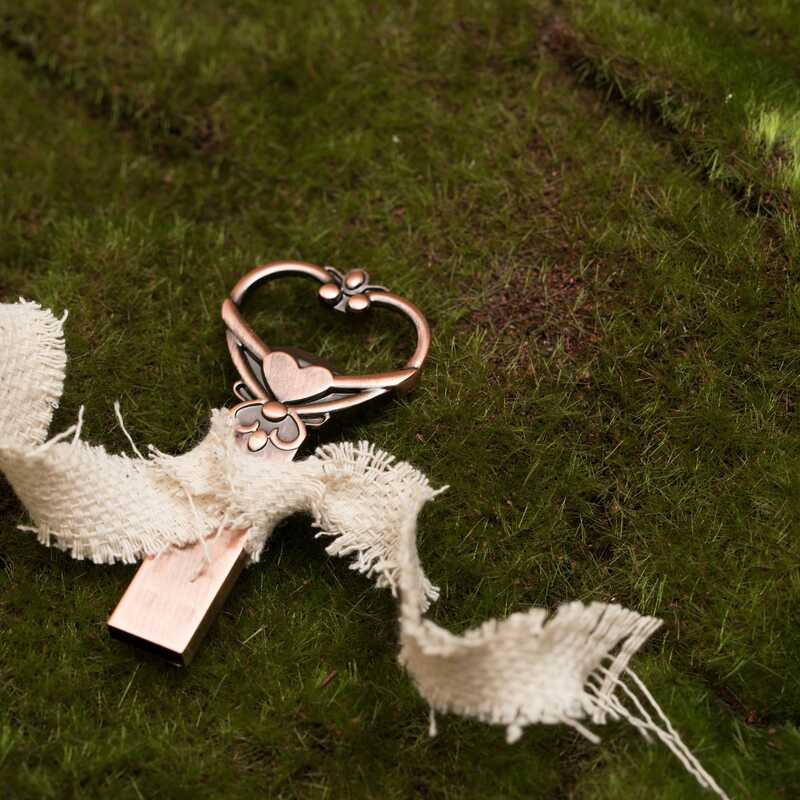 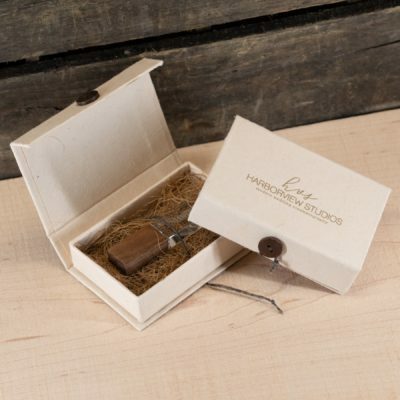 Deliver your clients a storybook ending by giving them their images on our Heart Key USB flash drive. 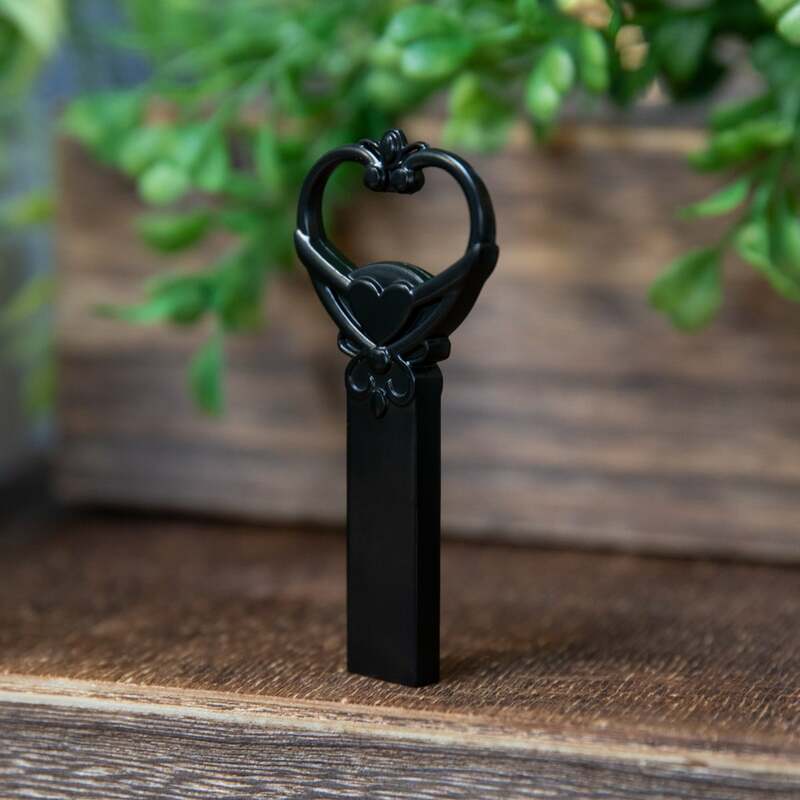 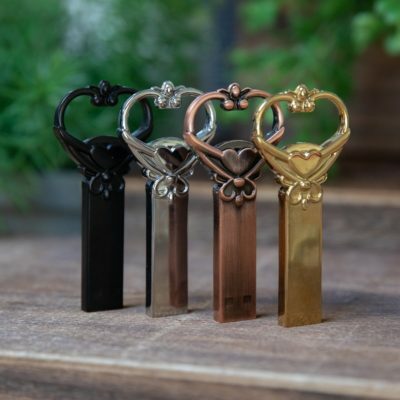 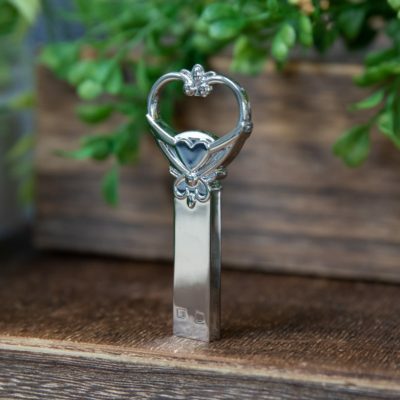 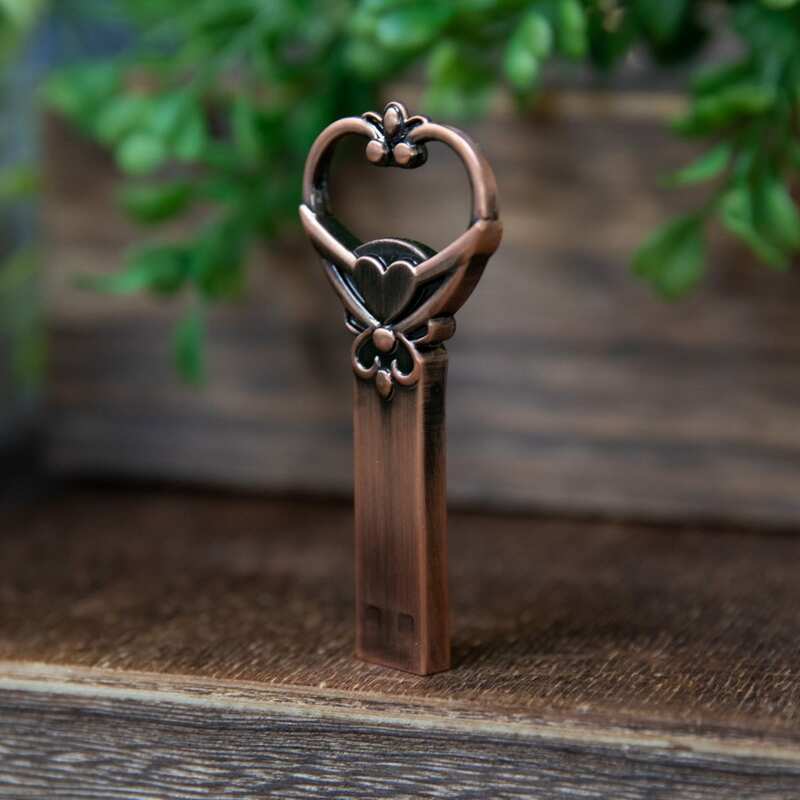 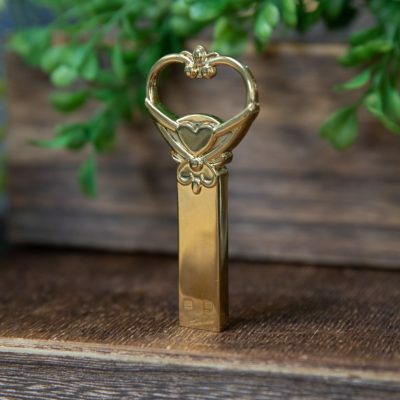 When your clients first lay eyes on this showpiece Heart Key USB flash drive, it won’t just be a fun moment, rather it will show them that you took the time to truly understand their tastes and personality. And then you went one step further and found the perfect item that allows them to unlock all the treasures you captured during your shoot with them. 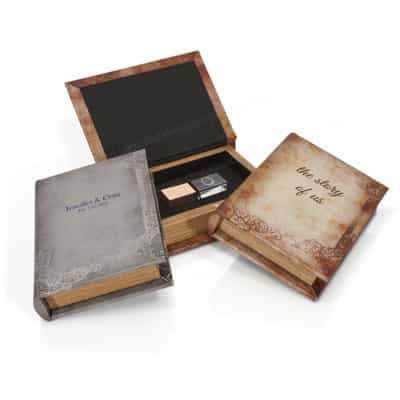 Available in silver, burnt copper or gold, in capacities spanning 4 to 64 GB, these drives don’t skimp on functionality or aesthetics. 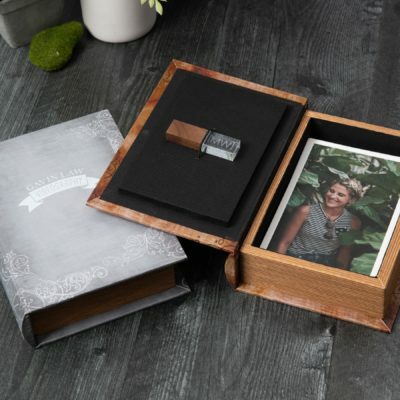 When paired with items from the rest of our Storybook photo packaging collection, this drive helps to tell a story that will speak directly to the heart of its recipient.